French Film Festival 2019: Gilles Lelouche . Thread: French Film Festival 2019: Gilles Lelouche . 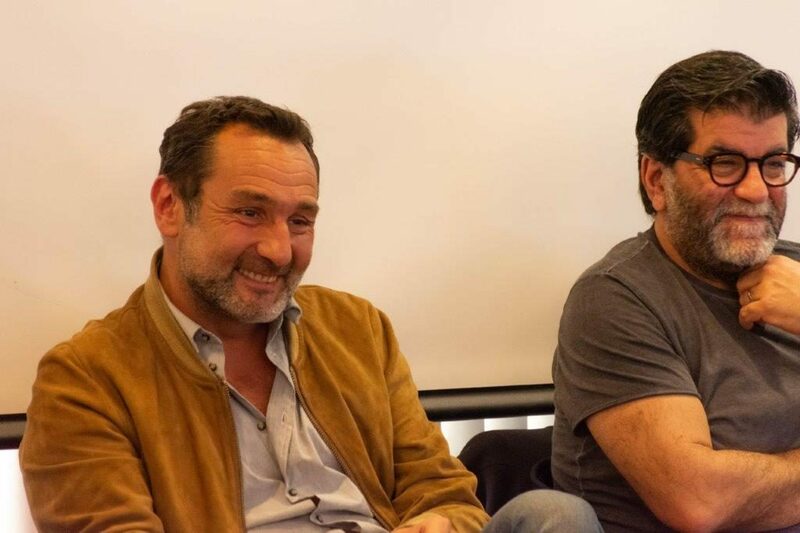 Gilles Lellouche and Alain Attal – French Institute Tel Aviv/Photo: Vincent MinyLellouche, who has appeared in over 50 films, is well known as an actor. Two of those films, Pupille and Les petits mouchoirs, are also in the festival program. Le Grand Bain is his second foray as a director, and brings together an impressive ensemble cast including Mathieu Amalric, Guillaume Canet, Benoît Poelvoorde, Jean-Hugues Anglad, Virginie Efira, Leïla Bekhti and Marina Foïs, in a heart-warming comedy that focuses on a group of men who decide to form their own synchronized swim team, a sport that is typically associated with women. How did Lellouche manage to assemble such a stellar cast? After Le Grand Bain‘s success at the box office (over 4 million viewers so far) and 10 César nominations, it is clear that it was a very worthwhile risk. Le Grand Bain opens in Israeli theatres on April 4, 2019.